PayPal, the online payments company best associated with eBay transactions, is once again finding itself in hot water. Specifically, account holders are raising concern over an unavoidable new provision of the PayPal user agreement that requires you to agree to receive robocalls from the company from any phone number it can locate for you. "You consent to receive autodialed or prerecorded calls and text messages from PayPal at any telephone number that you have provided us or that we have otherwise obtained. We may place such calls or texts to (i) notify you regarding your account; (ii) troubleshoot problems with your account (iii) resolve a dispute; (iv) collect a debt; (v) poll your opinions through surveys or questionnaires, (vii) contact you with offers and promotions; or (viii) as otherwise necessary to service your account or enforce this User Agreement, our policies, applicable law, or any other agreement we may have with you." As you can see, the new terms give PayPal the right to bombard any phone number the company has on file with automated questionnaires and sales calls on any phone line it can associate with you, whether you supply it or whether PayPal learns the information from a partner. PayPal, for its part, says that the company has a policy to “honor customers’ requests to decline to receive auto-dialed or prerecorded calls.” But there’s nothing about an opt-out clause in the user agreement, which is intended to be a legally binding document. The only way to reject the provision, it seems, is to shut down your PayPal account entirely. Now, as the Washington Post explains, PayPal’s effort to foist more unwanted calls on its account holders comes at a time when the Federal Communications Commission has begun cracking down on telemarketers. Starting on June 18, carriers will be allowed to legally offer a premium service that blocks robocalls on a line entirely. There are also third-party apps available to block telemarketers' numbers. Both options should offer you some valuable peace and quiet. The changes to PayPal’s user agreement go into effect on July 1, 2015. 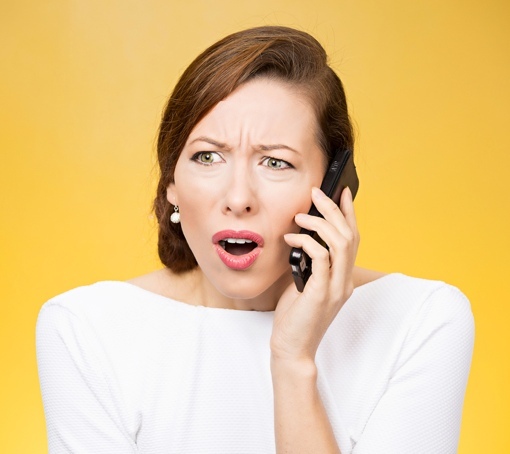 UPDATE 6/8/15: In a recent blog post, Paypal's General Counsel and Company Secretary, Louise Pentland, claimed this language is not new and that customers can opt out of prerecorded calls by calling Paypal customer service. We called customer service to see if this is, in fact, the case. It's not. We were told directly that there is no way to opt out of receiving these automated methods. Though, confusingly, we were told that users who do receive an automated SMS message may have the ability to opt out of receiving future messages (though it wasn't clear if that covered all messages or just messages about that particular subject). Nobody says you have to answer them. With CallerID we don’t answer calls from numbers that we don’t recognizer or do not provide names of callers. We get calls from several numbers daily, many are repeats form the same day or from previous days. If I were to give my landline number, then they could not text that line, especially since it is POTS, not VOIP. My cellphone at times is called as well, but aain for numbers that aren’t recognizeable or no informationon the caller is provided, it gets ignored as well.